CocoMelody launches the “Bohemian Nomad” collection under the direction of Rodolpho “Puey” Quinones. CocoMelody is a leading bridal retailer, serving brides and their wedding parties for over 15 years. CocoMelody’s founder, Miranda, listening to her friend, a bride-to-be, complain about the how expensive wedding dresses were and how the “reasonably” priced ones were made from very poor quality, found her niche. 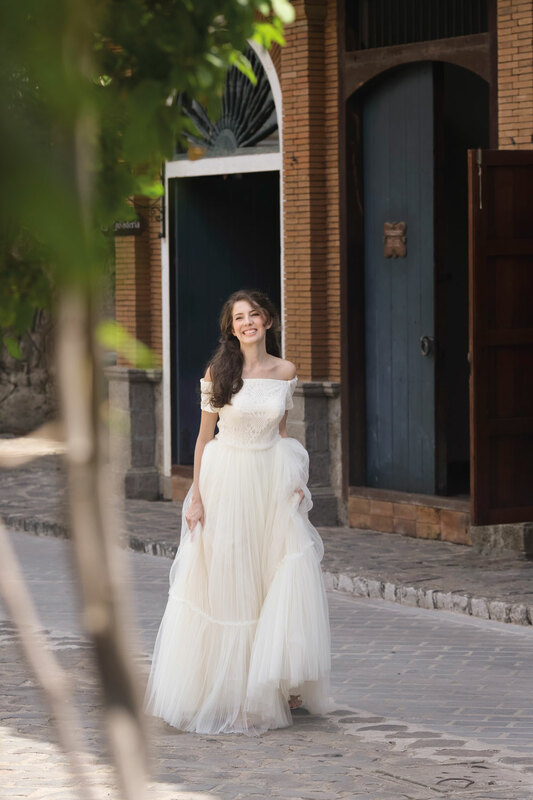 After scouring trade shows and extensive research, Miranda founded CocoMelody on the belief that the wedding dress of your dreams should be affordable, without sacrificing quality and style and their goal is to make every bride happy, no matter what her budget may be. Recently, creative direction for CocoMelody was taken over by Puey Quiñones Jr., a Filipino fashion designer based in Los Angeles. Prior to his coming to America, Puey began his career as an assistant to famed designers/ateliers, Dennis Lustico and LuLu Tan-Gan and was even a finalist in the Philippines Young Designers Competition for Paris. Once stateside, he’s dressed celebrities such as Katy Perry, Olivia Culpo, Michelle Williams and Lori Laughlin among others. He has even made guest appearances on “America’s Next Top Model” and his creations have been seen in publications such as Vogue Italia, Runway and Industry magazines. Since the stores opening, Puey instinctively launched the brands ethereal “Bohemian Nomad” collection. Romantic, languid and flowy dresses that are gracefully unrestricting. Intricate lace and burnout detailing, soft silhouettes, off-the shoulder, deep-V vintage inspired dresses that transcends time and inspired by trends and top wedding shows, each and every dress is meticulously and thoughtfully designed. Highly trained seamstresses and pattern makers tailor the dresses, and the fabrics and materials of high quality are imported worldwide, such as silky satin from China, unique lace from France, crystals from Russia and richly detailed fabrics from Italy.